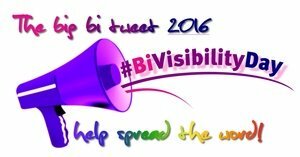 Bi Visibility Day, also known as International Celebrate Bisexuality Day, has been marked each year since 1999 to highlight biphobia and to help people find the bisexual community. It helps to raise awareness of the issues that bisexual people can face and provides an opportunity to celebrate diversity and focus on the “B” in “LGBT”. Be who you want to be Be fabulous Everyone is valid and valued.